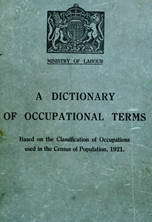 general term for any labourer q.v. who works at coke bench, drawing, quenching and forking coke after it is drawn from retorts and deposited on bench; includes coke filler, hearth man, quencher q.v. cleans up breeze or small coke, on coke bench by hand, using shovel and sometimes brush, and loads it into railway wagons, or wheels it to breeze dump; cf. filler, coke. in charge of bunkers at coke ovens where coal is stored, after it has been washed, to allow excess moisture to drain off, before coking process begins; operates slides and doors admitting coal into bunker compartments, and is in charge of crushed coal elevator, and of scrapers or conveyors. operates motor for moving "cars" or wagons of quenched coke from coke ovens to screens. tends coal crushing machines, in which coal is crushed, either before or after washing, to a size suitable for treatment by stamperman q.v. prior to loading into coke ovens. general terms for any worker employed on any process in or about a coke oven or by-product plant. general term for any worker at coke oven plant, including coke doorman, coke drawer, coke filler, coke picker, coke screener, coke stacker, coke washer, dauber, oven loader, quencher, ram engine man (088) q.v. see craneman ; cf. coke oven top man (088). see coke and by-product man; cf. coker (081 and 088). see coke oven plant worker. attends to creeper or belt conveyor, which transports coal or coke; regulates tension of belt by operating screw controls; oils machinery and chutes. lifts doors of oven, either by hand or by mechanical means, to facilitate charging and discharging; cf. craneman (950). general terms for any persons employed in coke oven plants who are paid at daily wages rates. plasters interstices between bricks and door of a by-product oven with loam," i.e., a mixture of clay and coke dust or boiler ash, by hand, so that air supply is diminished gradually and finally sealed off; when door is broken down to allow discharge, wheels away old clay to daub grinder q.v. feeds and discharges by hand, using a shovel, pug mill which grinds up breeze, clay, and previously used daub, to make fresh moist daubt for "luting" (sealing) coke oven doors (see doorman). (iii) ("beehive" ovens ), builds up and daubs it with clay to prevent coal from running out. breaks down and draws out coke from "beehive" coke ovens with iron rake; cf. ram engine man (088). controls elevator (or bucket conveyor) which transports coke to screens, tip, or hopper, or coal to coal breakers in a coke oven works. assists exhauster driver (950) q.v. in light unskilled jobs e.g. cleaning up, oiling engine. a yard labourer who fills tubs or barrows with ashes drawn from boiler furnaces and coke benches, to be wheeled away by ash wheeler or ballast wheeler q.v. a henchman q.v. who fills railway trucks, etc., with coke, using a large fork; cf. breeze man. a labourer who assists gas regulator (088) q.v. in opening and shutting valves. (ii) general term for man working on hearth, i.e. discharging end, of coke oven, including doorman, quencher q.v. term sometimes applied to doorman q.v. assisting a quencher q.v. on hearth (discharging end) of coke oven. is engaged at hopper, discharging mechanically weighed quantities of crushed coal into wheeled bogies for charging into retorts. does any unskilled work in coke oven or by-product plant; usually specifically designated, e.g. by-product labourer, coke factory labourer, coke labourer, coke oven labourer, sulphate labourer, valves labourer, yard labourer. levels coal in coke oven by hand with a long rake; work only performed in older type furnaces or when mechanical leveller breaks down; usually done by ram engine man (088) q.v. with a mechanical appliance joined to his ram. removes oven lids before charging; replaces them after charging, and sweeps tops of ovens. charges coking ovens by hand, by tipping small trucks of crushed coal through steel door at top of oven; cf. charger (088); work only performed when ovens are top charged. removes cover of top charge hole of coke oven in preparation for charging; assists generally in tipping trucks and shovelling or sweeping up scattered coal; cf. charger (088). picks out foreign materials, i.e. clinker and burnt shale, from quenched coke as it travels on conveyor bands to be screened. a benchman q.v. who cools down ejected red-hot coke with water, by hand, hose, or quenching machine; does work of burner (088) q.v. in old-fashioned "beehive" ovens. fills tubs on rails with crushed coal from a hopper; wheels tubs to coke ovens, and tips coal into them; cf. loader. watches proper working of screen, i.e., mechanically- shaken sieve, which sorts coke accord- [sic] to size; controls motion by levers; cleans and oils working parts, screen man, breeze, see washer, breeze. a conveyor man q.v. on belt carrying slack or small coal. a yard labourer or coke labourer who conveys coke after it has been quenched and screened, either by hand (in barrows, etc. ), or in bucket conveyor, and tips or stacks it in yard. cleans out bituminous deposit from gas mains which conduct gases from coke ovens by opening small trap doors on top of the mains and raking the deposit along from ono' trap door to another, until eventually the whole of the deposit is raked into the tower bosch. washes breeze (small coke) in tubs of water with a hand riddle to remove dross, and to prepare it for use in smithies. brushes liquid puddled clay over oven doors during coking process to prevent surface of airtight plaster (lute) from cracking. a labourer who wheels away tubs or barrows of ashes drawn from boiler furnaces and coke benches of a coke oven plant; generally also does work of ash filler q.v.